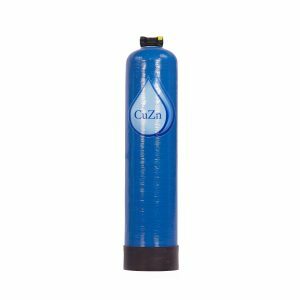 Enjoy pure, delicious water throughout your entire home! CuZn’s revolutionary WHCM-47-DTF Chloramine Wide Spectrum + Pro Upgrade model is an advanced multi media filtration system, a pre-sediment filter included with your purchase. 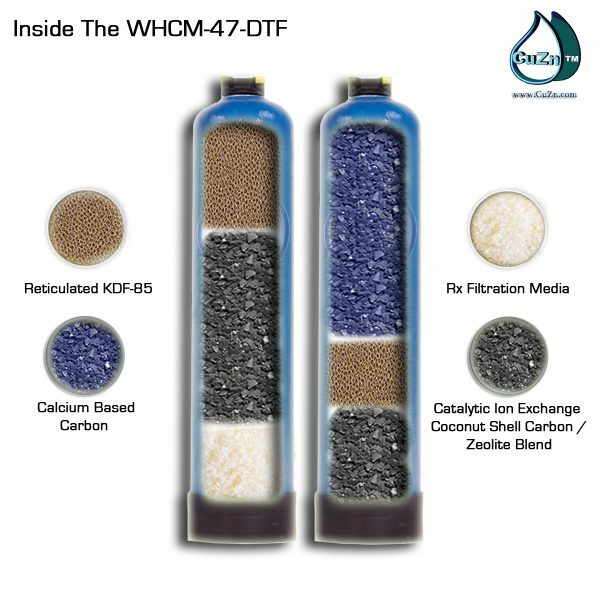 The WHCM-47-DTF process begins with a Micro Sediment Pre-Filter (model#FHBB-101) to remove any physical, undissolved particles out of the water (even though your water runs clear, you will be amazed by how much dirt & grime this filter captures). 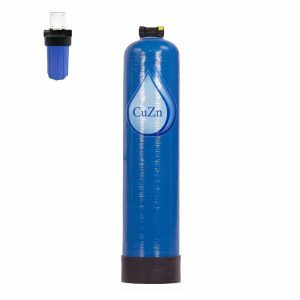 The Main Tank systems utilizes our proprietary patented Reticulated KDF-85 Minerals (Copper-Zinc) & high purity acid washed catalytic coconut shell carbon, zeolite (clinoptilolite), calcium based carbon (bone char) & activated alumina, all of which have been tested to NSF standard 42 and 61. 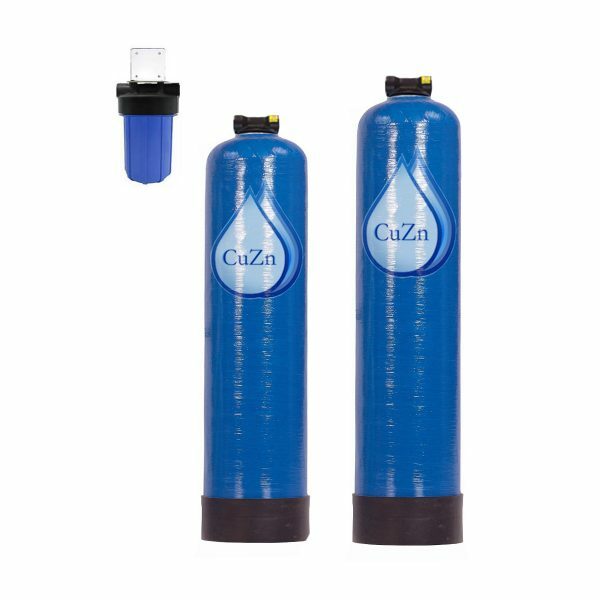 The Calcium Based Carbon (BRIMAC) is highly selective for fluoride, by nature fluoride is one of the more slowly adsorbed contaminants. 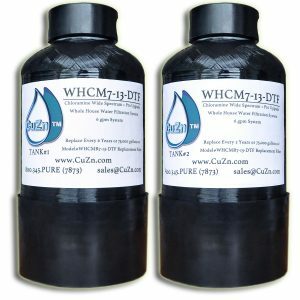 High quality fluoride media & a large quantity of those medias is required for whole house reduction of this contaminant. 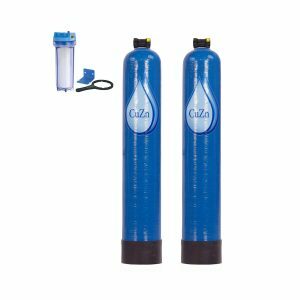 While 99% removal of fluoride is not generally feasible for Whole House Water Filtration Application, this stage of the dual tank system will reduce exposure to fluoride significantly.